It’s one of the last frontiers in medicine,” says Gayle’s doctor, orthopedic spine surgeon and Professor Dr. Kingsley R. Chin. Today the LESS Institute announced that international cricket star Chris Gayle and the West Indies Team’s victory at the most prestigious international cricket tournament, the ICC World Twenty20 Final, on April 3, 2016, comes just seven months after Gayle received back surgery at the LESS Institute. On August 18, 2015, Chris Gayle (36) underwent back surgery for a compressed nerve from a herniated disc. Before surgery, Gayle was experiencing constant numbness in his feet and pain while walking. He was able to sit up and be discharged within one hour after surgery. “I only have some residual numbness in my big toe,” commented Gayle the next day when his surgeon, Dr. Chin, visited him in his hotel room to check on his recovery. Gayle was back to training barely one month later. He returned to competitive play three months later. In March 2016, he broke an international record to become the player to hit the most sixes in winning the ICC Twenty20 Internationals. Deciding to have back surgery presented potential career-changing implications. “I suffered for over a year and a half before I had to take the time to have surgery,” said Gayle. Chin points to a startling lack of reliable, reproducible treatment for spine problems, and to the fact patients are often unaware of the best treatment and surgeons. Gayle stumbled upon Dr. Chin when Dr. Answorth Allen, an orthopedic surgeon at the Hospital for Special Surgery in New York City and team physician for the New York Knicks, reviewed his case and referred him to the Less Institute in Florida. 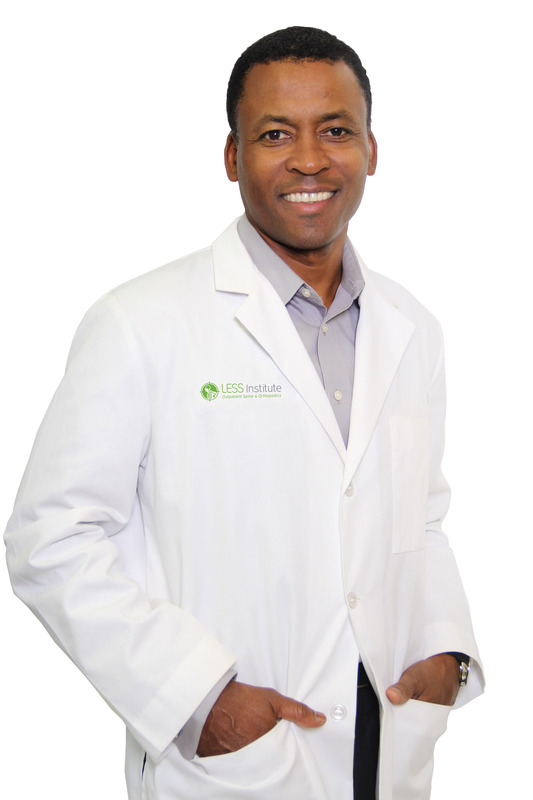 Dr. Allen had been referred Gayle from Dr. Mansingh, an orthopedic sports surgeon in Jamaica and team physician for the West Indies Cricket Team. Gayle is Jamaican and this happy coincidence led him to Dr. Chin (also Jamaican) -who admits that it is difficult for patients to do their own research into their treatment amidst the Internet’s hyperbolic marketing where everyone claims to be the best. The Less Exposure Surgery Specialists (LESS) Institute is an academic center of excellence which provides outpatient treatment for spine and orthopedics. The LESS Institute’s mission is to tailor treatment to each patient, to pinpoint the problem, fix it and let the patient go home the same day to recover quickly. It was founded by Harvard-trained, orthopedic spine surgeon and professor, Kingsley R. Chin MD, based on a new philosophy of Less Exposure Surgery utilizing the least invasive techniques and technologies to achieve the quickest and best outcomes.